Under the heading “Meet your experts”, Freudenberg Performance Materials will be presenting innovative technical textiles for the automotive, medical and apparel markets from May 14 to 17, 2019 at Techtextil in Frankfurt, Germany, in Hall 3.1, Stand F 37. Alongside personal discussions, the leading supplier of innovative technical textiles will be hosting a series of expert interviews at its booth. Freudenberg works with the broadest technology platform on the market. This enables the leading manufacturer of performance materials to equip technical textiles with an unparalleled variety of properties. The innovations Freudenberg will be presenting at Techtextil are excellent examples of this ability. Via the expert interviews, Freudenberg will also be giving trade fair visitors the opportunity to gain a good insight into these solutions, even if they do not wish to make an individual appointment. The interviews will be conducted several times a day at times that will be clearly communicated at the company’s booth. Good acoustics in vehicles increase driving comfort. This factor is also very important for electric cars, as the alternative drives are quieter than combustion engines and other noises of different frequencies are more strongly perceived. Freudenberg will be presenting innovative Acoustic Pads that feature exceptionally high noise absorption in the vehicle interior. 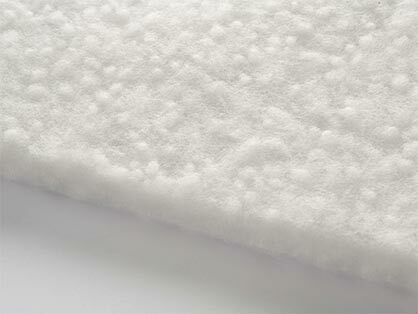 The lightweight pads are a very cost-effective solution and also help customers to reduce the weight of vehicles. Freudenberg Acoustic Pads are ideally suited for use in various automotive applications such as door panels, headliners, trunk linings, wheel arches and more. The fuel cell is already being used successfully in a number of applications and is regarded as a decisive energy source of the future. Freudenberg’s series-produced gas diffusion layers (GDL) contribute to making this technology more economical. Their pronounced thickness uniformity and material homogeneity increase electrical and thermal conductivity and improve the transport of gases and liquids within the fuel cell. The outstanding properties have been demonstrated in a broad range of very different customer applications. At the same time, Freudenberg’s GDL can be processed better than other products and exhibit superior mechanical properties. Wound pads are a component of medical wound dressings. 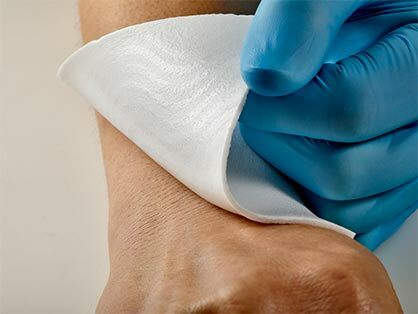 Freudenberg wound pads made from hydrophilic PU foams with a direct coating of silicone adhesives are significantly more effective than the commonly used foams with transfer coatings. They are much more flexible, adapt better to the wound bed, and enable antibacterial treatments to better develop their effectiveness. Moreover, the reduction of process steps and complexity during manufacture saves energy, avoids waste and simplifies the supply chain. With comfortemp® fiberball padding eco, Freudenberg will be presenting the world’s first padding made from continuous fiber balls, which functions as a perfect substitute for down in clothing. This novel insulation material is made from 100 percent recycled polyester fiber balls and combines the advantages of both padding and down. It is the ideal solution for the sports and outdoor sector, but is also suitable for use in fashion garments. It is manufactured without the use of chemicals, offers optimum breathability and is super-soft and fluffy.